An electromagnetic field (also EMF or EM field) is a physical field produced by moving electrically charged objects. It affects the behavior of charged objects in the vicinity of the field. The electromagnetic field extends indefinitely throughout space and describes the electromagnetic interaction. It is one of the four fundamental forces of nature. EMF measurement are measurements of ambient (surrounding) electromagnetic fields. The EMF meter is used to measure the magnetic (and sometimes electric) fields associated with ELFs (e.g. 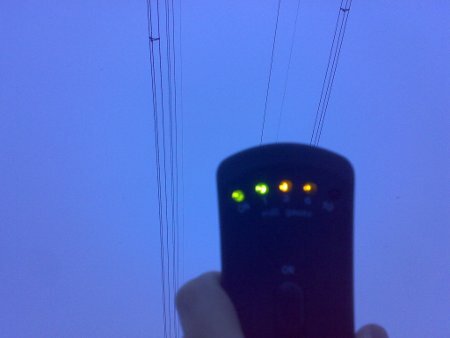 powerline frequencies) whilst the RF broadband meter should measure the voltage gradient or power density of RF fields. The fields that are normally measured at low frequencies are electric field and magnetic field. At high RF frequencies those electric field and magnetic field are pretty hard to separately measure, so RF field strength is measured. 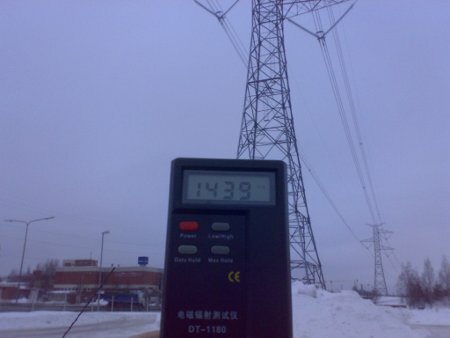 EMF measurements are normally done with EMF meters. There are many types of EMF and no single instrument can measure them all. EMF meters are are built using antennas with different characteristics and received signal strength display. EMF radiation is mainly characterized by its frequency and its strength. EMF meters are available with a wide range of sensitivities, frequency responses and features. Generally to got good picture of EMF, you need for lower frequencies (like mains 50 Hz and so) a meters for magnetic fields (gauss) and electrical fields (V/m), and also a broadband RF meter for RF fields. RF and microwave meters generally measure the voltage field in volts per metre (V/m, or for smaller fields, mV/m) although they often use this measurement to calculate and display the power density in watts per square metre (W/m2). Why EMF fields are measured? ARE EMF’s DANGEROUS ? article says that EMF can be dangerous in some situations. The energy in high power RF fields can be converted to heat in human tissues, causing burns and lasting cell damage. Powerful ELF fields can interfere with the human nervous sytem, causing temporary paralysis and pain. Low power EMFs are not regarded as dangerous in the way that high power EMFs are. However, there is evidence that long term chronic exposure to low power EMFs can cause, or at least contribute to, both a number of medical conditions and to general ill health. Although inconclusive, this evidence has nevertheless prompted a number of authorities to advocate a precautionary approach to EMF exposure. It can be very hard to say exactly what levels of EMF are safe, because safety in this arena is often a relative concept based on frequency, exposure time, and possibly individual sensitivity. EMF Levels & Safety web page is constructed to examine / compare / contrast various safety standards, average environmental levels and references. When you can measure EMF strength, you know to which kinds of fields you are exposed to. With this information you can determine if everything is on the safe side or if you might need to think about what to do with the situation (for example limit your exposure you get either by protecting against it or limiting exposure time). EMF fields can also interfere with the operation of different electronics devices if they are not properly shielded. EMF fields can for example cause noise to audio system that is in strong field. So I have used EMF meters also as tools when trying to figure out why noise gets to some audio/video systems. Ground loops can receive noise voltages from AC magnetic field and the current flowing on ground loops also causes magnetic fields. Ground loops allow electrical and magnetic interference to create noise voltage sources. The primary sources of these noise problems are Magnetic Induction and Ground Imbalance. The magnetic field causes electrical current to flow in the ground loop. EMF maters can be one useful tool to add to your pack of tricks in trying to figure out noise problems in electronics systems. For magnetic field measurements I have used Velleman Magnetic Field Detector VTEMF (got one very cheaply years ago). Velleman describes the product: “Detects the harmful electromagnetic fields generated by high voltage cables, computer and television screens, microwave ovens, waterbeds, electric blankets, etc. Scientists believe that electromagnetic fields of 2-3mG and above, increase the risks of cancer and other dangerous disorders. With LED indication: 1, 3, 6 and 10mG” VTEMF Magnetic Field Detector User Manual says that VTEMF detects well the low-frequency fields (like caused by 50-60 Hz currents). According to manual levels from 2 to 3 mGauss (and up) can cause problems like risk of cancer etc.. What would be an exact level what would be safe or dangerous or safe is hard to say, different sources give different values. General rule of thumb feels like anything below 1 mG should not cause worries. If you are nearing 10 mG or more, then it might be a good idea to think more on that. I have measured fields on different places. I get the device beeping near (half meter or less) traditional wall-warts (not that much with modern switchers), in front of electrical distribution panel etc.. VMEMF also detects bass beats when put near car bass speaker. 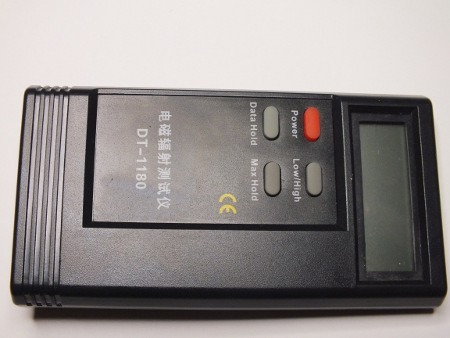 For electric fields and RF field measurements I have used DT-1180 2.3″ LCD Screen Electromagnetic Radiation Detector. 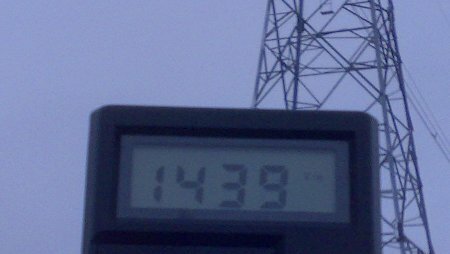 There are many cheap field meters around, but this was different from many other in that displays the results in some sensible unit (many just give some number without unit). The electrical field is so strong could be also noticed with a normal multimeter: It showed 300-700 mV AC without the measurement leads connected to anything (just spread out). 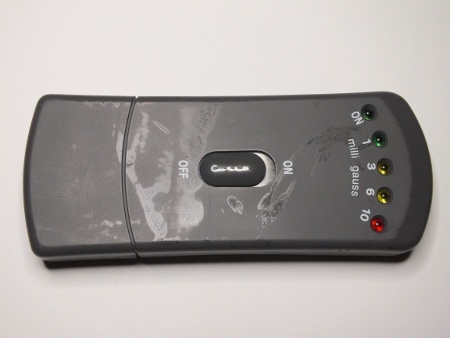 c consensus is that there is no evidence to prove that these EMF’s can cause any harm. In the vicinity of the power line affects the electric field and the magnetic field. The electric field attenuation in direct proportion to the distance. Dennis Siegel, a student at the University of the Arts (Germany), has developed a device called an electromagnetic harvester. Basically, it converts electromagnetic signals from the surrounding environment into electricity to recharge a common AA battery. the amount of electromagnetism surrounding us in a given environment is relatively small. Siegel’s been pretty coy about what went into the device to prevent copycats from replicating it. The only description he’s released thus far is that it’s made up of “coils and high frequency diodes”. Depending on the strength of the electromagnetic field it is possible to charge a small battery within one day. The system is meant to be an option for granting access to already existing but unheeded energy sources. You have a beneficial Blog right here Mate. Adore your content very informative, Please retain up the beneficial work. Electromagnetic noise is emitted everywhere humans use electronic devices. For decades, it has been hotly debated whether man-made electric and magnetic fields affect biological processes, including human health1, 2, 3, 4, 5. So far, no putative effect of anthropogenic electromagnetic noise at intensities below the guidelines adopted by the World Health Organization1, 2 has withstood the test of independent replication under truly blinded experimental conditions. No effect has therefore been widely accepted as scientifically proven1, 2, 3, 4, 5, 6. Here we show that migratory birds are unable to use their magnetic compass in the presence of urban electromagnetic noise. Electrical devices may disrupt the migration of some birds, a study suggests. A German team has found that weak electromagnetic fields produced by equipment plugged into mains electricity and AM radio signals interfere with the animals’ “internal compass”. They believe the effect is greatest when birds fly over urban areas. Prof Henrik Mouritsen, from the University of Oldenburg in Germany, who carried out the research, said: “At first, I was highly sceptical that this could be the explanation. Over the course of the next seven years, he and his team carried out numerous experiments to look at how the weak electromagnetic field affected the behaviour of the robins. In essence, he found that birds exposed to electromagnetic “noise” between 50 kHz and 5 MHz lost all sense of direction. But when the field was blocked out, they found their bearings again. Prof Mouritsen said that migratory birds flying over towns and cities, where there are more homes and businesses that use electrical devices, would be most effected – and they would probably resort to back- up navigational systems. Repeated experiment failures have led to a most unexpected discovery about how songbird orientation may rely on the quantum phenomenon of electron spins. Researchers found out that very weak electromagnetic fields disrupt the magnetic compass used by European robins and other songbirds to navigate using the Earth’s magnetic field. the team came up with the idea of putting a Faraday cage around the birds’ windowless huts to block the effects of nearby electromagnetic fields. Suddenly, the birds could navigate using their magnetic compass once more. Extech model 480836 handheld meter at $279 to characterize the accuracy. We’ll be comparing it to two other ETS-Lindgren (calibrated) meters. The Extech 480836 E-field meter is a hand held unit that covers a claimed 50 to 3500 MHz at up to 108 V/m. The 9.3 x 2.4 x 2.4-inch unit comes with a padded box and 9V battery and fits easily into the hand. The E-field antenna is a three-axis design for omni-directional (isotropic) reception, but can read out each axis (or the combination) individually. The manufacturer claims a frequency range of 50 to 3500 MHz, but admits measurements are “optimized” for 900, 1800 and 2700 MHz – basically, the mobile phone bands and Wi-Fi. I was a bit disappointed to learn the unit was only guaranteed accurate in certain frequency bands. However, the unit does come with a universal (not specific) calibration factor chart. we set up a 1m measurement range on top of my ping pong table. We borrowed a couple of calibrated E-field meters and proceeded to compare all three against a standardized source. The results were better that I thought in the frequencies above 600 MHz and all three meters compared to within 1 V/m across those frequencies. The Extech, however, had some major departures from the others in the bands 50 to 150 and 400 to 600 MHz. The units of measurement (V/,m, A/m, uW/cm2, and mW/m) are controlled by one button. Extech makes a higher-end model 480846, that measures from 50 to 8000 MHz. Charging from the power lines.